DAY BEFORE THANKSGIVING SPECIALS & TRIVIA! We will have Day Before Thanksgiving Specials!!! Thanksgiving TRIVIA on Wednesday night at 7pm! Wednesday we will have $10 growler fills and $14 barrel aged grunt fills all day! What a deal!! Stay tuned for Trivia Categories & Black Friday Specials! Join us for an awesome day of fun! IT'S BARRELFEST AND THIS YEAR WE ARE EXPANDING IT TO 2 DAYS!! ONE OF OUR BIGGEST EVENTS OF THE YEAR! We will have at least 20 Barrel Aged Beers on tap including some new varieties that have not been released before. Join us for a fun filled weekend. 32oz grunt fills of barrel aged beers will be available during this time!! WINTER IN JULY 7/10/18 till Gone! Just in time for the scorching weather we are starting our annual re-release of the dark beers of the winter season. High Note Black IPA, 12 Strings of Winter 2016 (one keg only), Roundabout Confusion (the last keg ever), and Double Drop DD Stout. These are very limited quantities and the last of some of them for some time, so get on in here and enjoy some delicious and rare winter style beers to help beat the heat. Come join us for Delicious entrees and some awesome new beers! Twelve String Brewing Company's Archtop Amber boasts great malt and hop flavors. Stop by and Join us this weekend! Live Music, Great Food and the finest Regional Craft Beer. 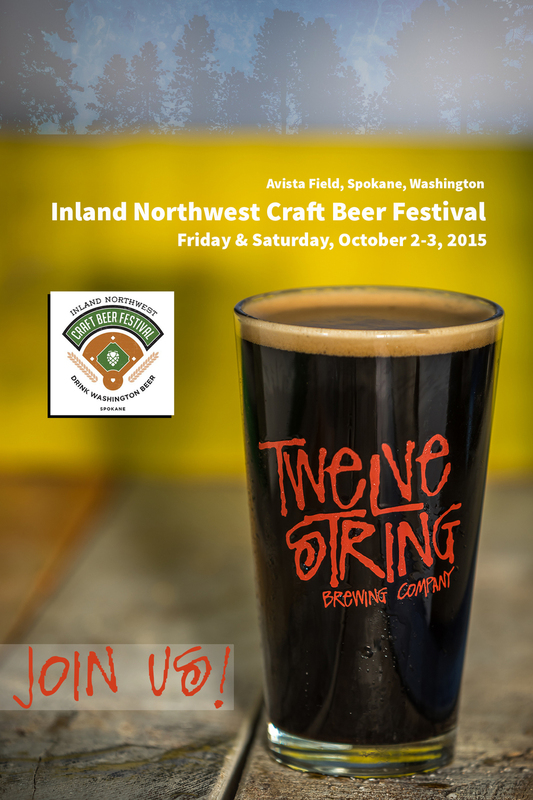 Twelve String will join 30 top craft breweries in serving more than 100 beer favorites! Valley Red is a great tasting Red Ale utilizing a unique German grown Malt and a nice hop flavor from Mosaic and Ahtanum Hops. Come on down to the taproom for more details! !